The martial art of karate can be practiced by anyone, regardless of age or gender, and can be undertaken at any time during a person's life. Embraced by people the world over, this traditional Japanese art continues to hold universal appeal. Among the most important aspects of karate practice are the kata, patterns of movement that are carefully choreographed and arranged in sequences. With Karate: The Complete Kata, Hirokazu Kanazawa, the foremost figure in the karate world today and a disciple of Gichin Funakoshi, the father of modern karate, offers the definitive work on the subject. 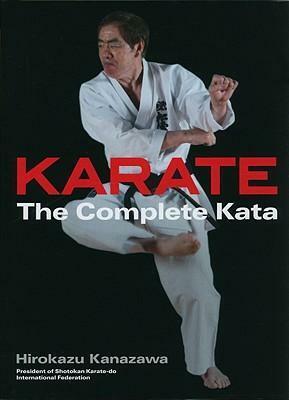 Kanazawa explains all the key kata in great detail; and his text is accompanied by thousands of photographs. He also goes into some of the other more difficult aspects of karate, including steps, breathing techniques, and pressure points. Kata need to be practiced regularly on an individual basis, and this book is written with such training in mind. From the beginner to the most advanced practitioner, anyone interested in this revered martial art will want to add Kanazawa's book to his or her library. Hirokazu Kanazawa founded the Shotokan Karate-do International Federation of 1979. He is also the author of Black Belt Karate and Karate Fighting Techniques, published by Kodansha International.